This year, the European Development Days 2016 that will take place in Brussels on June 15th and 16th will pay particular attention to migration dynamics and the reception and integration of asylum seekers in the European Countries. Within this framework, the International Trade Centre’s Ethical Fashion Initiative (EFI) and the Italian cooperative society Lai-momo will present their latest effort to create a social business incubator in Italy for asylum seekers. The incubator is a training centre and production company which incubates micro-businesses. 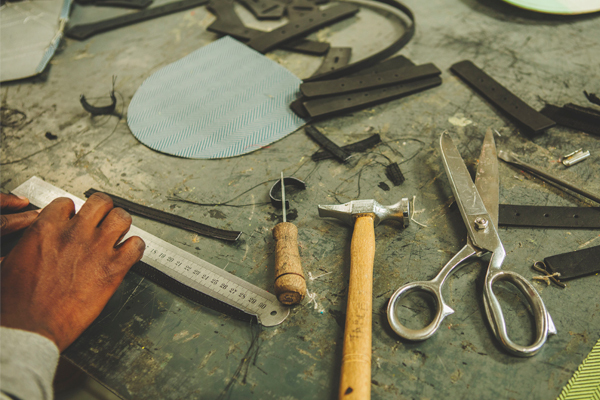 Asylum-seekers have the opportunity to develop careers in the manufacturing of fashion goods with the ultimate aim of gaining employment in Europe or transferring their business back to their country of origin. At the core of the project lies the will to enable asylum seekers to gain independence and integrate within the local labour market, or, in case of voluntary return to their countries of origin, to create micro-businesses which could benefit from micro-credit resources and the professional expertise gained at the training centre. The social business incubator will be based in the area of Marzabotto, in the Province of Bologna, Italy and will function as training, production and reception centre for some 20 asylum seekers who will take part in the project. The training will be held by experts selected by the International Trade Centre who are already part of the Ethical Fashion Initiative network, and by local trainers who have had long careers in the dressmaking and leather industry. To learn more about the project, don’t forget to visit the stand 55 at the European Development Days on June 15th and 16th!